Control Solutions LLC is an innovative electronic design and manufacturing company, focusing on three markets; commercial mobility solutions, military electro-hydraulic vehicle motion control subsystems, and medical mobility. Control Solutions prides itself on being a customer-oriented, quality-driven company, with an emphasis on customer service. 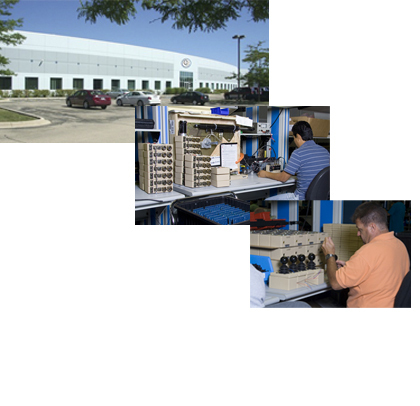 Located in Aurora, Illinois and founded in 1989, Control Solutions LLC designs, manufactures, and tests products to the highest quality standards. The company designed and continues to manufacture the first microprocessor-based DC motor controller used in the scooter industry. Since then, a wide range of customer-driven systems and solutions have been developed to complement the original microprocessor-based controller. Today the Control Solutions product line consists of a broad line of DC motor controllers, multi-stage battery chargers, user interface actuators, and a variety of sensory and custom product solutions. We also manufacture a line of clinical-grade electrotherapy devices and accessories sold under private label agreements.